IT HAD TO HAPPEN: Ancient Israel’s Zombie Apocalypse (James McGrath). Cross-file under "Can't Make It Up." Potentially relevant past posts are here, here, here, here, here, here, and here. THE OUP BLOG: An interview with Sarah Japhet. In an interview with Professor Marc Zvi Brettler of Brandeis University, Professor Japhet explains how she became interested in the Chronicler, which she describes as “a fresh, critical spirit with the courage to look at Israelite history in a different way.” This emphasis on new and critical perspectives, she explains, helped to frame her career, and was fitting given her appointment as the first tenured woman in the Bible Department at the Hebrew University of Jerusalem. In addition, Japhet discusses how her early experiences with Chronicles informed her ongoing work on the larger issues of exegesis and historiography. PHILIP JENKINS: SHENOUTE THE GREAT. Shenoute was a critically important figure in the history of early Coptic language and literature, and he is also highly relevant for understanding the cultural background of the Nag Hammadi Library. On a related note, Professor André Gagné has a Nag Hammadi Seminar running at Concordia University. It is by invitation only, but there is a public lecture coming up in February 2014. Did Eusebius write the Testimonium Flavianum? THE JESUS BLOG: The Testimonium Flavianum, Eusebius, and Consensus (Guest Post) - Olson. Earlier PaleoJudaica posts pertaining to the Testimonium Flavianum are here, here, here, here, and here. And there's a bit more on Ken Olson and his doctoral work on the Testimonium (which was done at Birmingham and Duke under Mark Goodacre) here. All this made me wonder, as I have many times before in reading the Talmud, what the rabbis would make of the situation of American Jewry today. No one can say that America lacks rabbis to point out the correct halakhah, as the Jews of Kabul did. But the vast majority of Jews—unaffiliated, Reform, and even Conservative—have effectively cast off rabbinic guidance and have decided to invent their own Jewish customs. Some keep kosher at home but eat in non-kosher restaurants; some attend Shabbat services, but get there by driving to synagogue. The compromises of American Jewish life are legion. Would these customs earn the rabbis’ respect, since they are the established practice of the majority? Or would we seem to them like Cutheans, who have lost the knowledge of the law and need to be treated with extra strictness? If, as I suspect, it’s the latter, perhaps we could respond, as the Cutheans would have, that our Jewishness is not a defective version of the rabbis’ but an original creation with its own integrity. But then the rabbis could point out that the Cutheans have all but disappeared, along with the Karaites and all the other Jewish schismatic sects, while rabbinic Judaism remains. It’s impossible to read the Talmud as a modern American Jew, especially a secular one like me, and not wonder whether that argument trumps all the rest. THE JULY 2013 BIBLICAL STUDIES CARNIVAL has been published this month by Jim West. SYRIAC WATCH: Emran El-Badawi and Gabriel Said Reynolds have a Focus On essay on The Qurʿan and the Syriac Bible at the Oxford Islamic Studies Online website. ED COOK: Reza Aslan's "Zealot": Poor. That's pretty much what I'm hearing from biblical scholars. THE BRITISH NEW TESTAMENT CONFERENCE is meeting in St Andrews at the end of the month, as regular readers are aware, and much of my time will be taken up by preparations for it. This means that blogging is likely to be lighter than usual for the rest of August. I will blog as much as I can, but probably not as much as I would like. The conference on "Jeremiah’s Scriptures: Production, Reception, Interaction, and Transformation" aspires to engage recent and current scholarship that has advanced source redaction, and literary criticism of Jeremiah and related Baruch and Jeremianic traditions in the Hebrew Bible and the Ancient Jewish and Christian Literature. 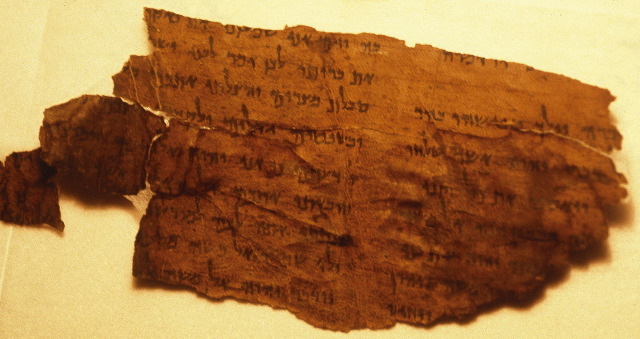 The invited speakers include scholars of Biblical Studies, Ancient Judaism, and Dead Sea Scrolls from the U.S., Canada, Israel, Switzerland, Germany, France, the Netherlands, and Austria. The conference will take at the Centro Stefano Franscini on the Monte Verità (Ascona near Locarno, Switzerland). Follow the link for registration information etc. The group is focusing on excavating refuse pits, essentially the town dumps used by the Samaritan community during the sixth and seventh centuries CE, Tal told The Jerusalem Post on Wednesday. Findings thus far in the main pit at the site include 400 Byzantine coins, 200 Samaritan lamps, an ancient ring and gold jewelry. Tal said many of these findings could be significant because they included items that were discarded unused. “Among these findings we have many intact oil lamps. Some of them are even still sealed,” he said. You don’t expect them to be found in dumps and refuse, because they need to be used and they need to be sold,” he said. There are cool photos of the octagonal ring, which is inscribed with the name of God. Also see: Byzantine Coins and Gold Found in Garbage Pit (Rossella Lorenzi, Discovery.com).